Side table or an end table supports a seated person in countless different ways! 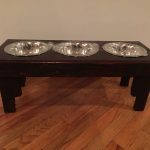 One can stretch his legs out and can support them on an end table, can put his beverage mugs on it and can place some embellishments over its top to earn a little beauty station for living room. 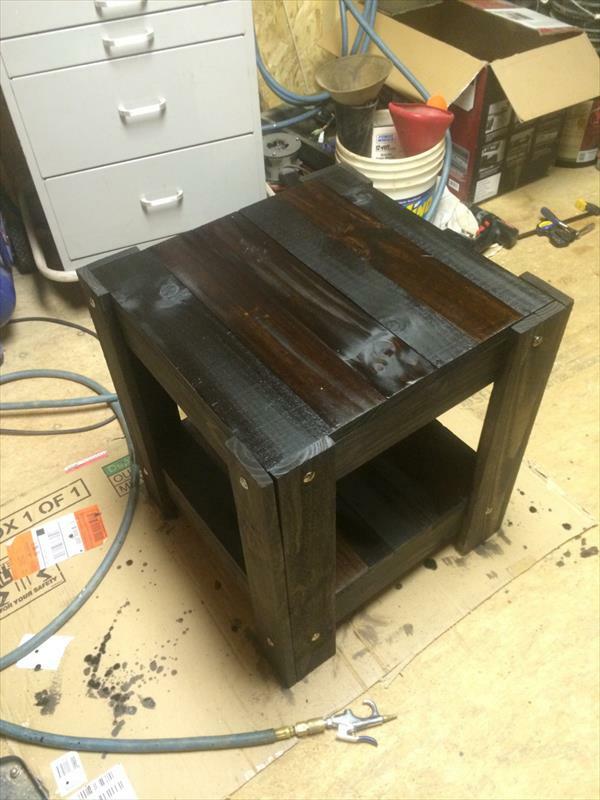 There are so many different styles of side tables that are just a five finger practice to achieve with pallets and this time we are to share this DIY pallet black stained end table that is also super quick to build and can also be used as mini coffee table between the two seated people! 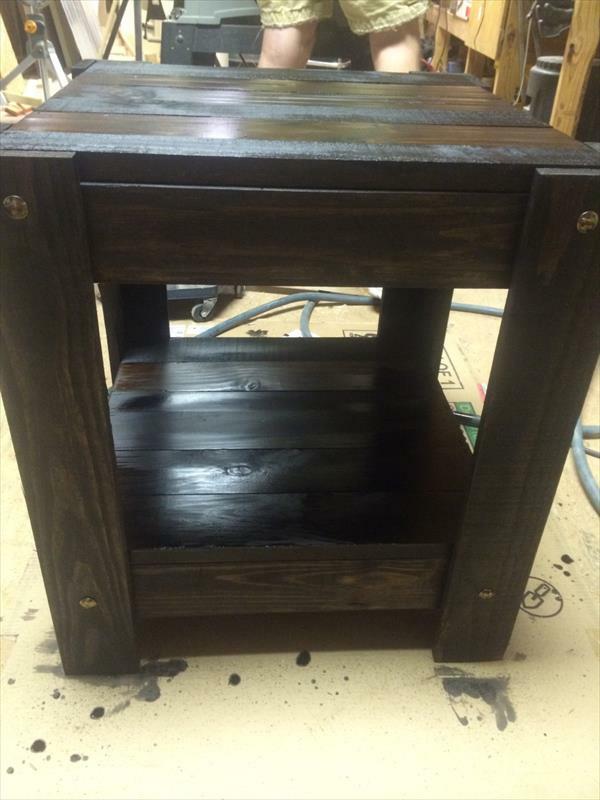 For a charming visual, this table has been stained to get a dark black or choco hue! Stain coat make the wood weather-resistant and provides extra stability to avoid early signs of aging and wear and tear! 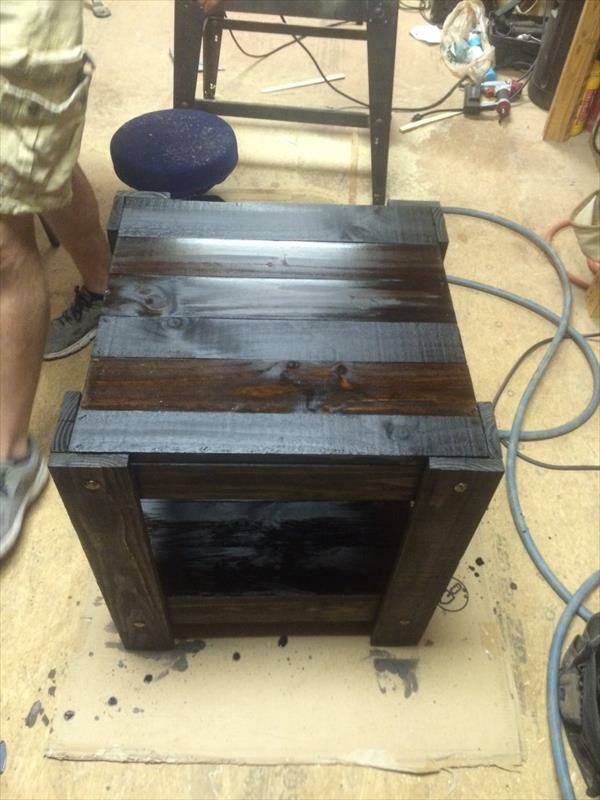 One can also use a few coats of polyurethane for a semi gloss finish!